Since today is Halloween, I thought it would be appropriate to recommend a couple of new Doom metal releases for your listening pleasure. The first release is the new album "Ritual Abuse" by the band Cough. Just by looking at the album cover you can tell that this album spews pure evil. The next album is "Take the Curse" by Ramesses. Be afraid, be very afraid!! 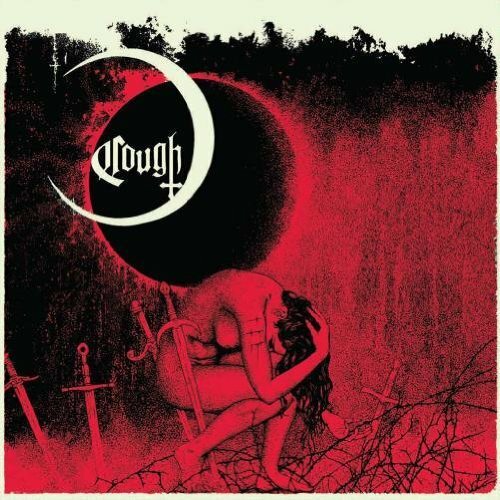 "Bringing with them a wealth of unholy and occult atmosphere, Richmond, Virginia’s Cough have made good on their initial promise with Ritual Abuse, their debut for Relapse Records and second full-length overall. Though it would have been easy for the band to turn on the sludge autopilot and simply wing their way with ground-tuned, ambient riffage, Cough impresses with their ability to actually keep a tempo, whilst of course remaining mercilessly slow in execution. Bristling with malevolence, Ramesses’ crushing grooves induce a hypnotick lethargy: weighed down, beleaguered and enveloped by doom. While the percussion/guitar/bass/vokills set to work on your viscera, your head is forcibly plunged down the rabbit hole and drenched in heavy psychedelia. Spawned in the bleak woodland of Dorset, England, this three-piece has been disfiguring the innards of its army of devoted listeners since 2003 when original Electric Wizard drummer Mark Greening and guitarist Tim Bagshaw hooked up with Adam Richardson (bass + vox), formerly of Lord of Putrefaction, Spirmyard, and Hexed. In the intervening years, Ramesses have ripped an incurable wound in the metal scene.